Contains a Church, two tall buildings and two medium buildings. 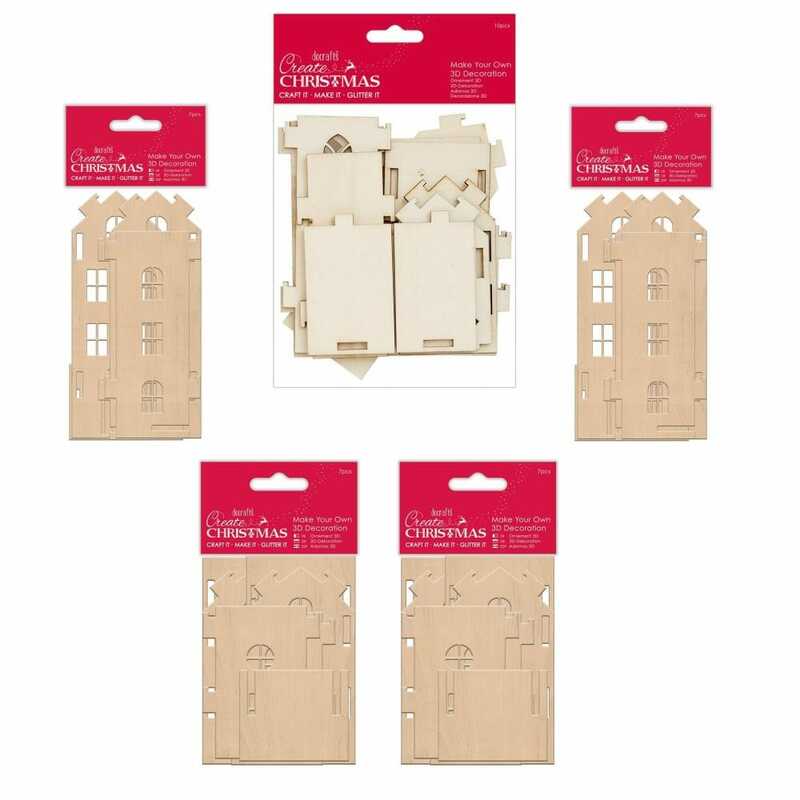 You can create whole wooden villages with this range of different size houses and buildings. Papermania’s Create Christmas returns ready for the festive season and bursting with all your yuletide crafting essentials. This Make Your Own 3D Decoration pack contains one full medium wooden house decoration. Simply slot the pieces together, decorate and display.